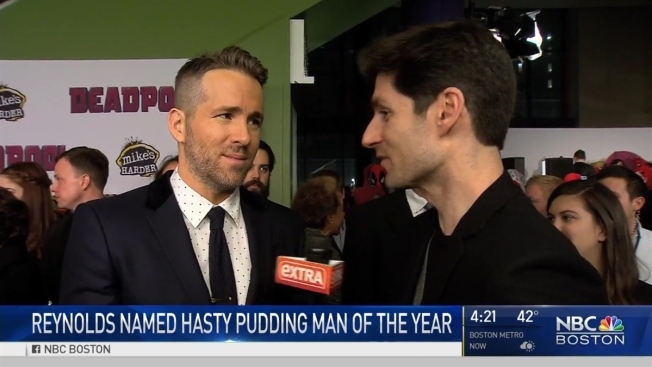 Canadian actor Ryan Reynolds has been named Man of the Year by Harvard University's Hasty Pudding student theatrical group. The group said in a statement Friday it is "proud to honor such a talented and diverse actor, whose seamless transition across multiple genres captures audiences and keeps them coming back to see what's next." In keeping with tradition, the actor who played the title role in 2016's "Deadpool" will be roasted by the student group before being getting his pudding pot on Feb. 3. Hasty Pudding bills itself as the nation's oldest collegiate theatrical organization that traces its roots to 1795. Last year's Man of the Year was Joseph Gordon-Levitt. Previous winners include Bob Hope, Warren Beatty and Robin Williams. The 2017 Woman of the Year hasn't yet been announced.